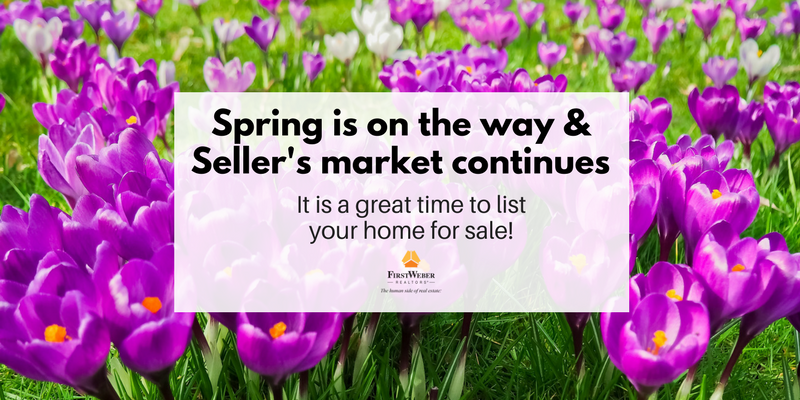 Spring is on the way… list your home today! Don’t wait until the snow melts to put your home on the market. Buyers are out looking now, wanting to close on their home in early spring, since the whole process takes weeks and weeks to complete. The spring market is now. We are also experiencing a shortage of inventory of homes for sale in some areas and need inventory to meet demand. If you are thinking of selling, start sooner rather than later and talk to a First Weber real estate to get your home priced right and on the market quickly.